My overwintered kale is growing like crazy and that makes me a very happy girl! Here is another tasty way to use that vitamin-packed leafy green! In a large soup pot heat olive oil over medium heat, saute onion for 3-4 minutes, add garlic and cook an additional 2 minutes. Add cumin and coriander, stir to incorporate. Add stock and potatoes, bring to a boil and simmer for 10 minutes. Add chickpeas, simmer for 5 minutes, or until potatoes are tender. 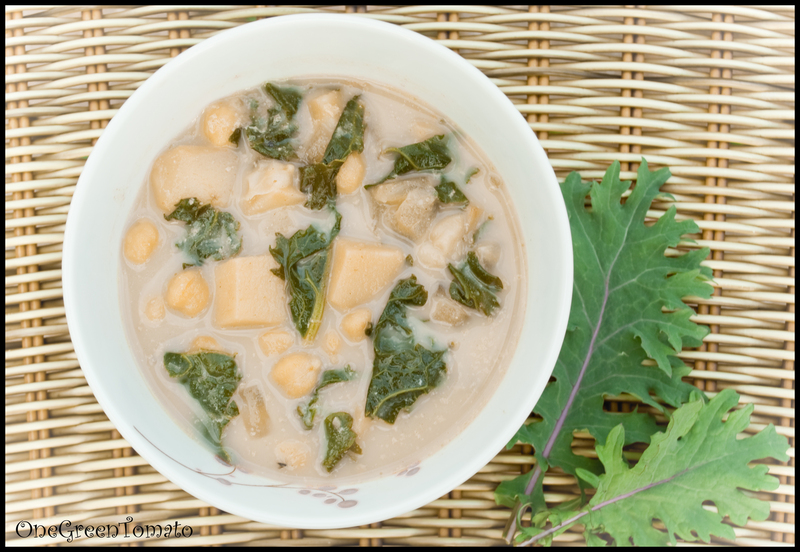 Mix cornstarch, tahini, half & half, and milk and add it to the soup along with the kale. Season with cayenne, salt, and pepper; bring back to a boil and simmer for an additional 2 minutes. Enjoy! ﻿I originally made this back in November after scoring several bunches of organic beets on super sale at the food store. I decided to whip up a double batch so I could freeze some of it. Last week I defrosted the remaining container to see how it held up. I was pleasantly surprised to find that by adding just a touch more olive oil, and a quick stir, the texture and taste returned to its pre-frozen state! Combine all ingredients in a food processor and puree until desired consistency is achieved. I’ve had an ongoing love affair with hummus that dates back to the mid 90’s. While in high school I worked at Bubbies, a family owned bagel shop. At this quaint little eatery we made everything from scratch, including a delicious assortment of gourmet cream cheeses and spreads. Sally (the owner’s mom) was usually in charge of hummus. 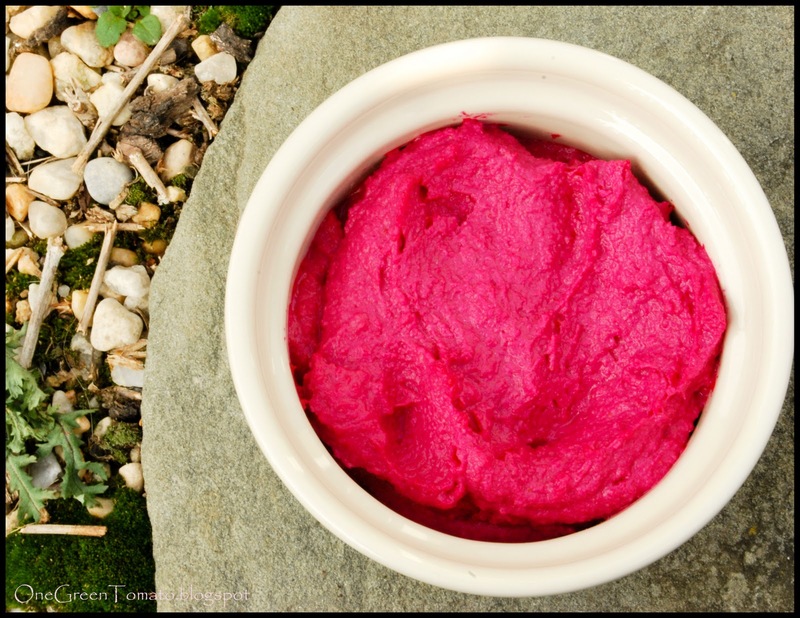 Hummus (like baba ganoush) is a forgiving food that can be played around with as long as you have the basic ingredients! Soak your beans. Somewhere I read to soak chickpeas in an added slurry consisting of salt, flour and baking soda. Combine 2 Tbsp salt, 2 Tbsp flour and 2 Tsp baking soda with enough water to form a paste, add to the water that your chickpeas are soaking in. I’m not sure why you do this I just do. I’m assuming that it may have something to do with the rate of re-hydration, but I can’t back that up. Allow beans to soak overnight. Drain and rinse your beans. Place them in a large sauce pan and cover with several inches of water. Bring to a boil, reduce heat and simmer until soft (usually 35-45 minutes). You want your beans to be firm not mushy. Drain. Place garlic in a food processor and mince, add chickpeas and remaining ingredients and blend baby blend! If desired you can serve with a drizzle of olive oil on top or add ground hot pepper, paprika or a bit of basil. I like using my rosemary infused olive oil! Experiment, your options are limitless! 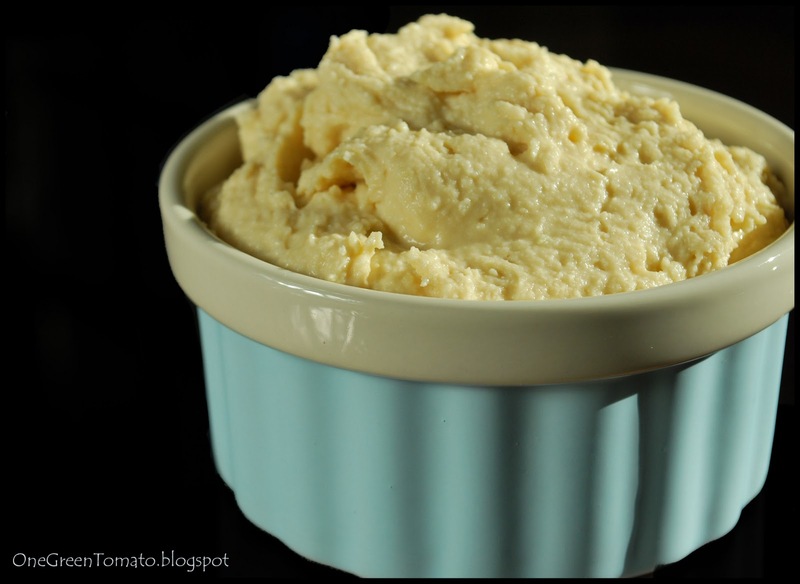 I also really enjoy my hummus served with fresh homemade pita bread, which can be found here!